William J. Ryan is retired as chairman of the board of TD Bank, N.A. He has served as a board member of TD Bank Financial Group, group head, U.S. Personal and Commercial Banking, vice chair of TD Bank Financial Group, and president and CEO of TD Banknorth Inc. He oversaw the growth of the bank from a $2 billion regional bank to a $45 billion U.S. franchise, as a result of 29 bank acquisitions. In 2005, TD was recognized by Forbes as the best-managed bank in America. 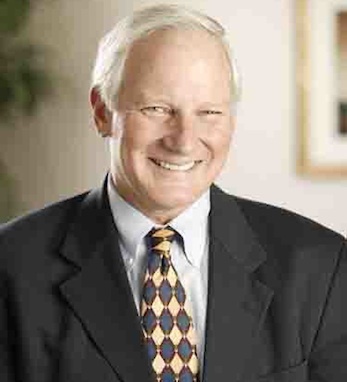 William is a director of WellPoint, Inc. and Unum, serves as a trustee of the Libra Foundation and is Chairman of the U.S. Biathlon Foundation. He is on the Board of Advisors at the University of New England, Emeriti Trustee of Colby College. William is a graduate of St. Francis College in New York and the Stonier Graduate School of Banking at Rutgers University. He and his wife, Peg, have four children and make their homes in Marco Island, Florida and Falmouth, Maine. He is a second-generation Irish American.